According to multiple WH aides, White House staff planned to assemble on the South Lawn to greet President Obama as he returned this evening but the arrival has now been changed due to weather, as pool has noted. POTUS will arrive by motorcade instead of chopper and that means only a limited pool of reporters get to see him come in and staff members who were looking forward to welcoming him home, no doubt with cheers, will not get to do so. Fair to say some disappointed folks here at the White House. Marine One, the Presidential helicopter, lands on the White House South Lawn. In White House speak; a “weather call” is an official determination if it is safe for the President to fly on Marine One or Air Force One during adverse weather conditions. Heavy rain, sleet, snow, lightning, and most often dense fog can ground the specially equipped Presidential aircraft. A “weather call” is a thumb up or thumb down decision based on the current weather conditions and the safety of using aircraft to transport the President and White House staff. 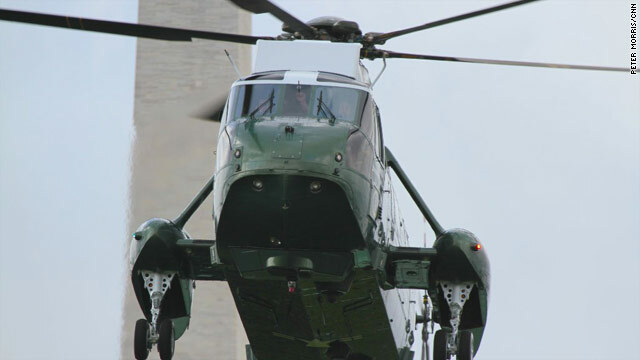 One rule of thumb at the White House, if officials cannot see the tip of the Washington Monument from the White House, Marine One will not land or take off from the South Lawn. The President is usually forced to take a lengthy motorcade ride to his destination. 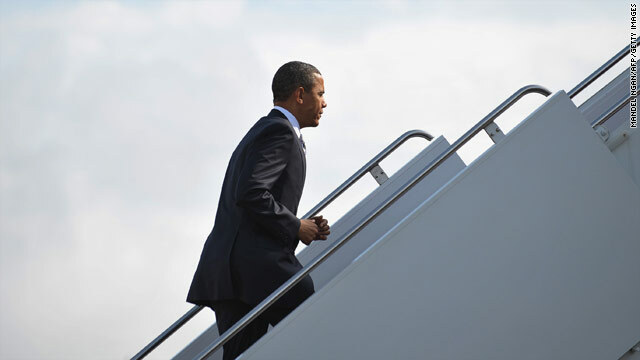 President Obama boarding Air Force One at Joint Base Andrews Wednesday morning. 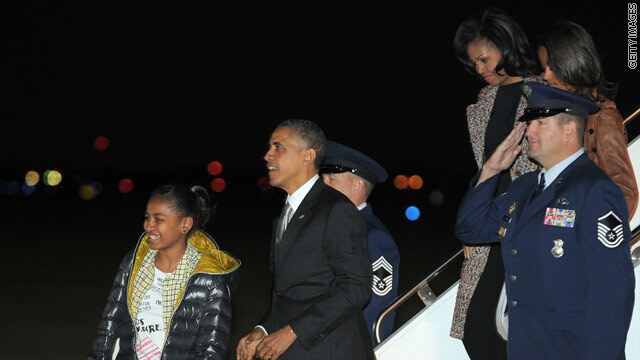 WASHINGTON (CNN) - Even the commander-in-chief takes a back seat to bad weather. Wednesday, just as Air Force One was approaching Hartford’s Bradley International Airport to land, the pilot executed a missed approach and circled around. Federal Aviation Authority spokeswoman Laura Brown tells CNN, "The plane had not yet reached the runway and the weather was 'bad' so the pilot circled around and lined up for another landing." President Obama is scheduled to speak this morning at the U.S. Coast Guard Academy's graduation ceremony in New London. It was cloudy and rainy in Hartford this morning and the president's speech at the Coast Guard Academy which was originally planned outside was moved to an indoor location. 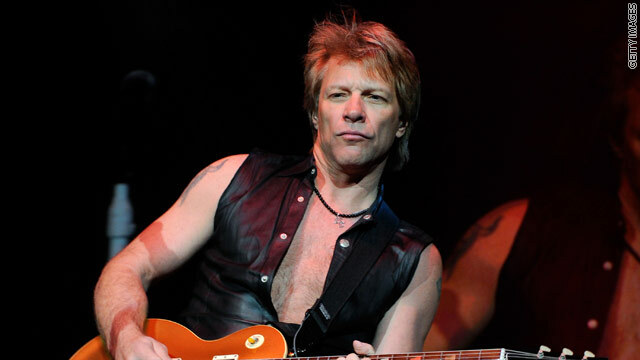 Air Force One circled around the airport, located in Windsor Locks, Connecticut, at approximately 9:50 a.m. At the time, the weather there was 55 degrees, extremely overcast and northwest winds at 11mph. 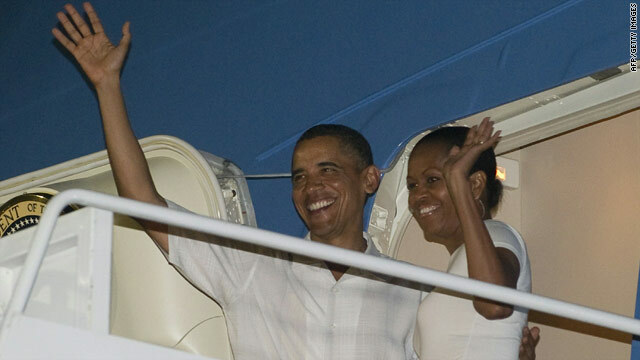 The president's plane did eventually land at the airport just a few minutes later, at 10:05 a.m., without incident. It's not known if Obama knew about the missed landing. Reporters traveling on Air Force One were unaware of the first attempted landing. 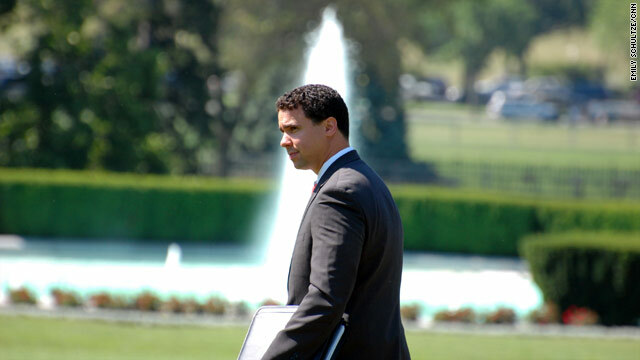 (CNN)- President Obama said early Tuesday that he hopes Republican leaders "realize that there will be plenty of time to campaign for 2012 in 2012." During a surprise visit to the press cabin aboard Air Force One on his way back from his vacation in Hawaii, Obama said he hopes to build on the progress made during last month's lame-duck session. MR. BURTON: Thank you all for joining this flight down to North Carolina. This is Hannah August. It’s her first flight on Air Force One. She promised not to break anything. Q Can you talk about the latest on the tax talks? And are there any new developments as of this morning, and how many times has the President talked directly to Mr. McConnell? 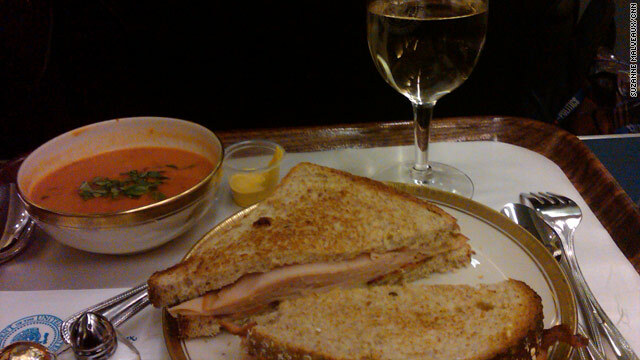 Aboard Air Force One: Turkey, swiss, & bacon on wheat. Tomato soup. Sauvignon blanc. 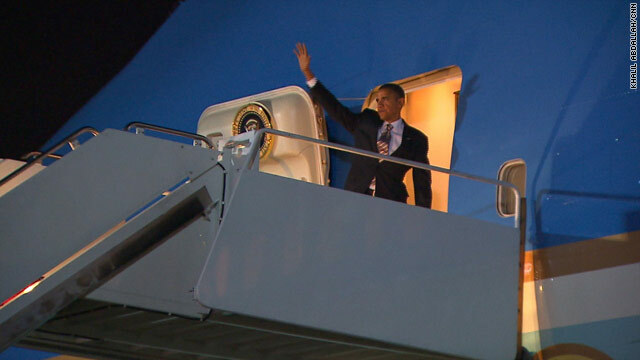 President Obama waves as he board Air Force One for the red-eye flight to Lisbon. 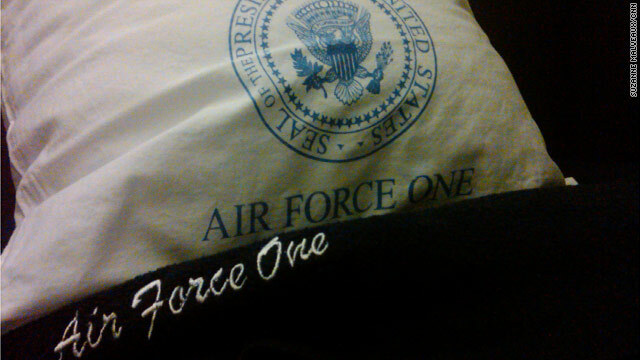 We are Lisbon bound and overnighting on Air Force One.